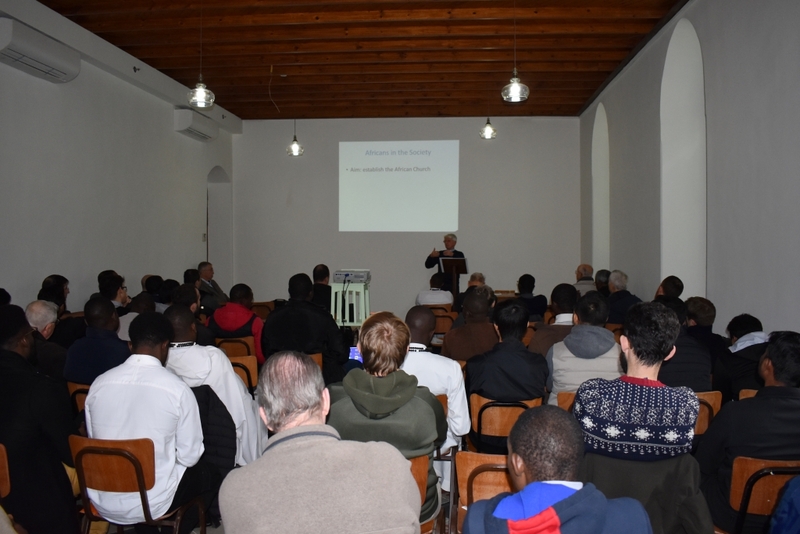 March 07 2019 – St Anne's – Jerusalem On the occasion of the Jubilee celebration of 150th years of the Society of the Missionaries of Africa, the staff and students of Studium Theologicum Salesianum (STS) were invited to St Anne’s premises for lectures and presentations on the Society. This first part was followed by a talk given by Fr. 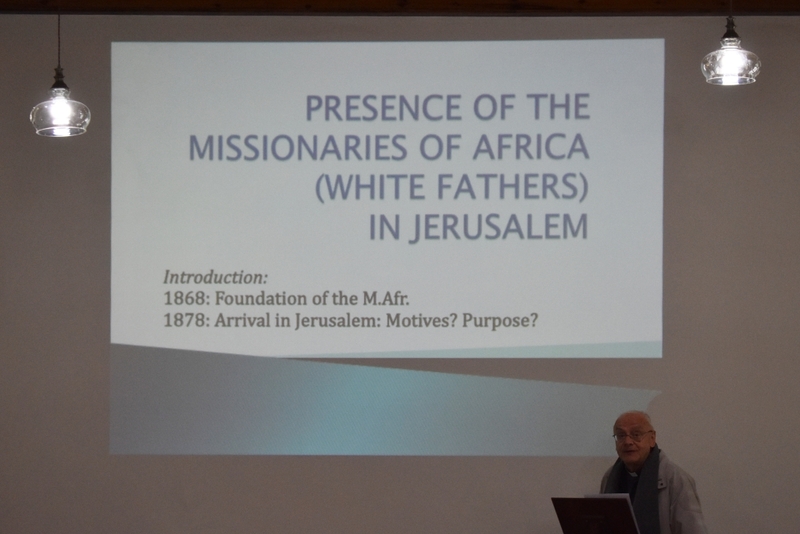 Frans Bouwen on “The presence of the ‘White Fathers’ in Jerusalem.” In his presentation, Fr. 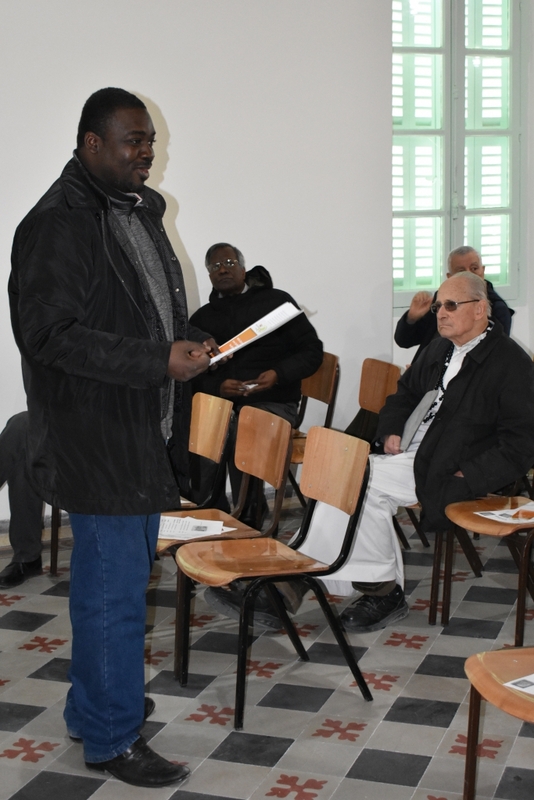 Bouwen gave the main dates and events which characterized their history, to make easier the understanding of the presence of the Missionaries of Africa here in Jerusalem and their apostolate. Presently, the White Fathers’ community takes care of the holy site of the Pool of Bethesda and the Basilica given by France and welcomes pilgrims daily. Finally, three of the Missionaries students shared something of their personal experience of life with the Society. Bro. 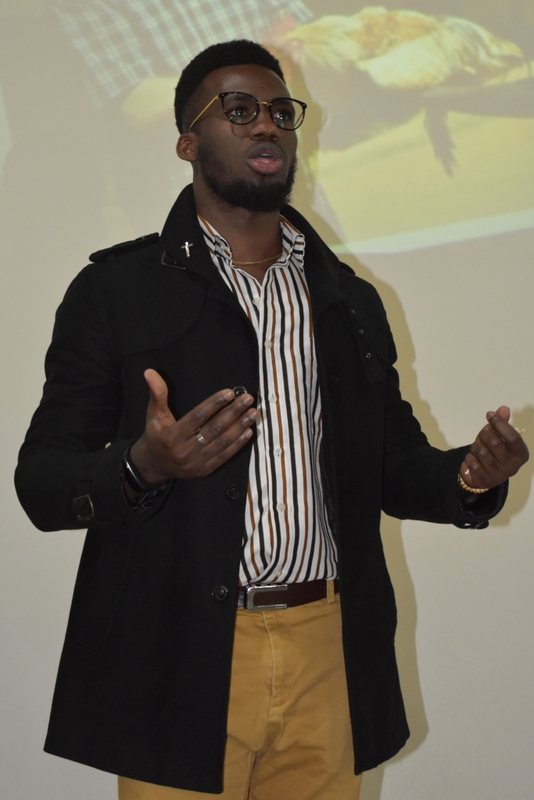 Nelson Ekeh shared his understanding on inter-culturalism and simplicity of life. Bro. Thierry Uyirwoth, speaking of community life, said: “I am treated as a mature person with respect and I have to take responsibility for my own growth. I consider it as one of the best ways of formation to become fully responsible for my life.” Finally, Bro. 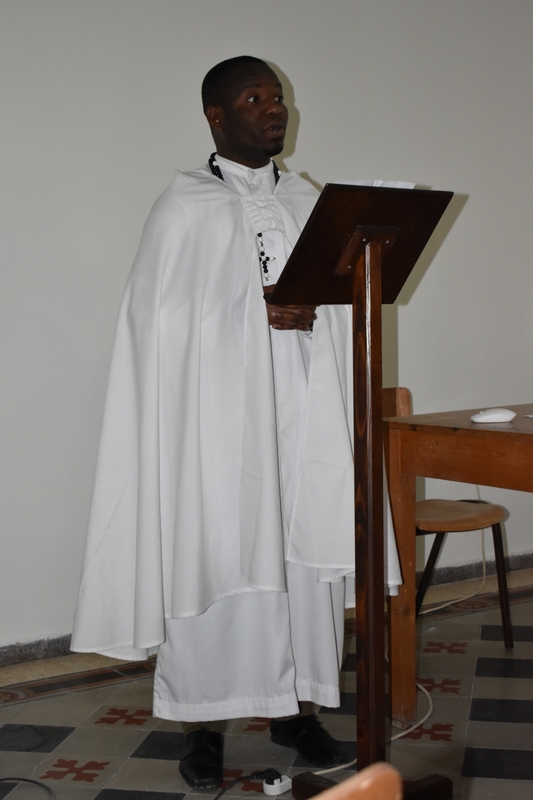 Belito Joaquim shared his commitment to JPIC (Comissão Diocesana da Justiça e Paz e Integridade da Criação) in Burkina Faso. After a lunch together, the activities continued with the 2nd annual edition of the STS Sport Tournament at Burj al-laq laq. Fr. 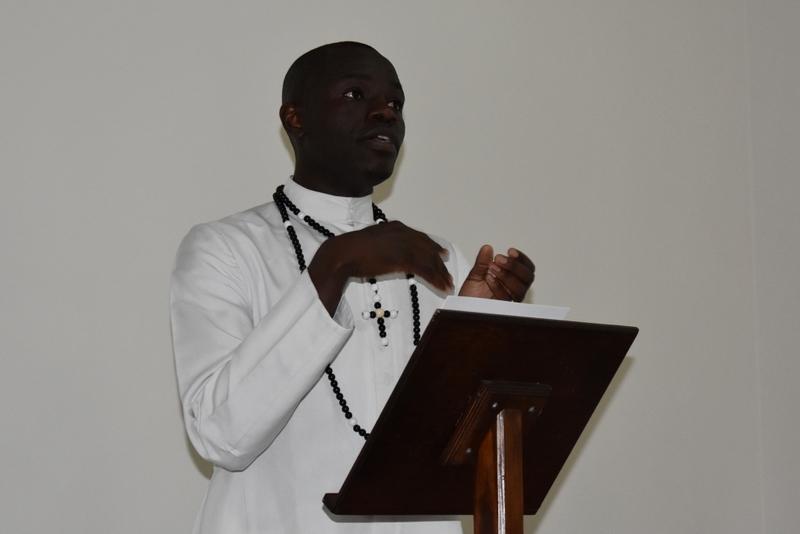 Dave presents the history of the Society of the Missionaries of Africa through 150 years. Fr. Frans Bouwen gives a talk about the presence of the ‘White Fathers’ in Jerusalem. Bro. Belito shares his commitment to JPIC. Bro. Nelson shares his understanding on inter-culturalism and simplicity of life. Bro. Thierry speaks about the community life.